Love the new preamble YES YES YES People need to read the SDGs and their targets and not a summary in a preamble. Well done Co-Chairs and secretariat !!!! I thought we all agreed cherish should go out of the text? 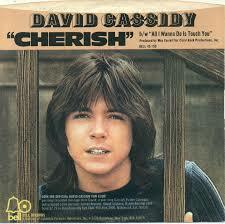 Like most of the people here we are all David Cassidy Fans but its a bit much putting it into an intergovernmental text. Wonderful to see hygiene; added to sanitation and water. Perhaps governments might like to consider this as a replacement. "A world which invests in its children, in which the rights and aspirations of all children are realized, and in which every child grows up free from violence and exploitation." There still seems to be a non recognition by some that sustainable development includes poverty eradication. The present wording seems to indicate that they are still two different things. "We recognize the intrinsic interlinkages between poverty eradication and the promotion of sustainable development." I would have preferred that we recognize sustainable development as our guiding framework and that poverty eradication as our highest priority in addressing it. On CBDR we have [and reflecting the principle of common but differentiated responsibilities and respective capabilities, in light of different national circumstances]. It seems to me probably the best we will get over the next few days. It may be that this will be dealt with afterwards but i would like to see a clearer demarcation between Addis and Goal 17. Only this way will both be reviewed effectively. The CSD in 1993-2002 had a week for the finance, capacity building and technology transfer for Agenda 21 alone. This is a more complicated agenda and needs more time. On family the bad references have been taken out great news. On climate change I prefer 31alt: We will address decisively the threat posed by climate change and environmental degradation. We note with grave concern the significant gap between the aggregate effect of UNFCCC Parties’ mitigation pledges in terms of global annual emissions of greenhouse gases by 2020 and aggregate emission pathways consistent with having a likely chance of holding the increase in global average temperature below 2 °C or 1.5 °C above pre-industrial levels. Further to the Lima Call to Climate action, we will work for a comprehensive, ambitious agreement at COP21 in Paris applicable to all Parties [and reflecting the principle of common but differentiated responsibilities and respective capabilities, in light of different national circumstances]. On the use of stakeholders, civil society and other actors we still have an intellectually imperfect document but that hasn't been helped by the inability of stakeholders or civil society to understand the terms themselves - a battle for another day i think. On corporate reporting again a lost opportunity to have a big impact again a a battle for another day. Finally on Habitat III para 33 now has an addition to mention Habitat III, reads as follows: "We look forward to the upcoming United Nations Conference on Housing and Sustainable Urban Development in Quito, Ecuador". I would have preferred the original text suggested by Ecuador "building upon previous Habitat conferences and looking forward to Habitat III". I felt that it underscored the existence of a long-term trajectory of UN conferences on cities and human settlements, hence evoking the existence of partnerships and practitioners which can be reoriented towards the implementation of SDG11 and the operationalisation/localisation of the Post 2015 Agenda at the subnational and local levels.